Berlin has been voted the most fun city in the world. It is dynamic, overflowing with cheap beer, crawling with artists, and liberally sprinkled with pubs, museums, theaters, and restaurants with delicious food. On the streets, one feels neither pressure to be too hip or gorgeous nor a need to be drab. As a transplant here, you can walk anonymously, and even with a cripplingly small amount of German to offer, you can still fill your needs and even enjoy yourself. But, if, like a fly to flypaper, you have been drawn to Berlin, you find yourself here, and, then what? The reality of living in a new city, learning the streets, the customs, and figuring out what to do with yourself can be overwhelming. Berlin is the new Paris of the 19th century and the potential is endless. The secret is out, all are drinking from its cup, how, then, to order this drink? Berlin has its quirks. Comprised of twelve districts, and more spacious than other European capitals, the city sprawls across the flat terrain which it calls its home. Without direction, you can akin a tapioca, blindly bumping your fellow tapiocas without really getting anywhere. This is not Berlin’s fault; it is simply that it can be difficult to break through the skin of a new city. Even though Germans are friendlier than they first appear, the German temperament is typical of a country that experiences long, gray winters; their exterior is cloaked in a thick winter jacket; a bit rigid and penetrating it can be challenging. If you strike up a conversation, however, you will commonly find those who are happy to share. The language barrier exists, but, unless you are not looking for a job, it is surmountable. Germans love to practice their English, and will happily practice away with you. But still, the inviting, slippery trap of doubt yawns and beckons as the winter days march on, and it is possible that you can no longer locate the you who was, before coming to Berlin. The districts in Berlin differ, but the hottest ones at the moment are Friedrichshain, Kreuzberg, and Prenzlauer Berg. However, some days, as the winter plods on, the absence of sun perhaps reflecting your own feelings of the absence of self, you feel the need to find yourself. As the culture shock deepens and the homesickness that you are certain does not exist, you are deluded into thinking that you are simply not as adept as all the others at appreciating the wealth of this great city. As you look around on that damp February day, wondering “what the hell will I do with all this?” consider a small escape. That monatskarte that broke the bank can be put to good use. 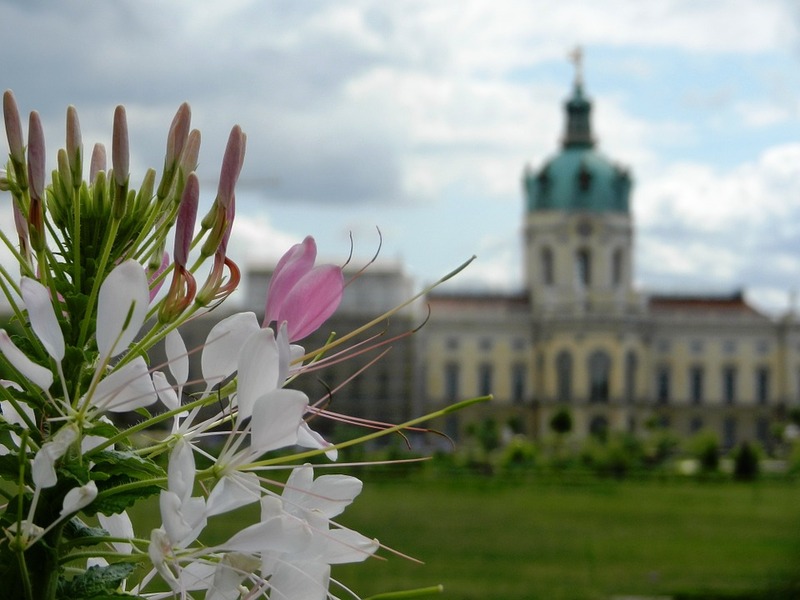 A trip west will take you to what was previously West Berlin: Charlottenburg, the poster child of the West’s fight against communism. A part of the ripped asunder city that stood lonely in the sea of the DDR. Berlin has been torn, disfigured and sewn back together; its boundaries stitched whole again like Frankenstein’s scars, a benevolent monster. 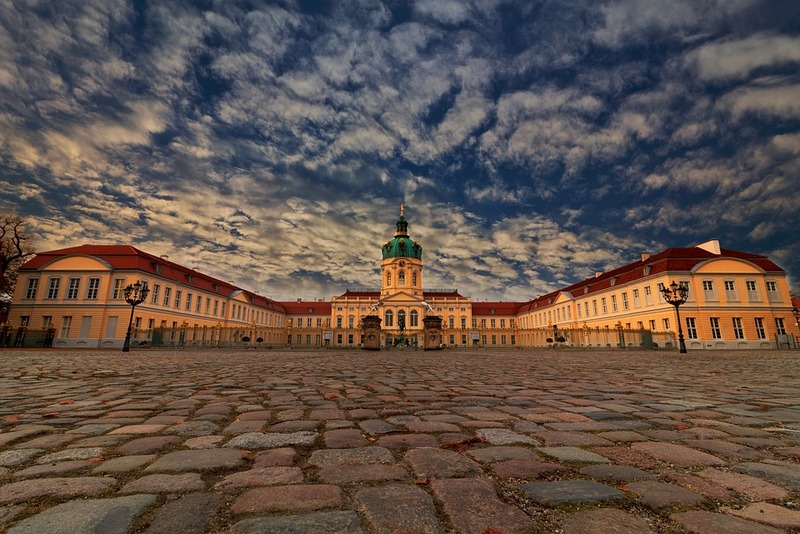 Proud but starving, fortified for decades by airlift and sentiment, Charlottenburg was the bastion of western capitalism in the island city. It is historically an affluent area, and it has stubbornly clung to that identity through wars and economic downturns. Certainly, Charlottenburg oozes less feeling of hip, and more feelings of Prada. So why would you go there for an escape? When you walk the streets you don’t immediately feel the peace, but be patient and you will feel it. 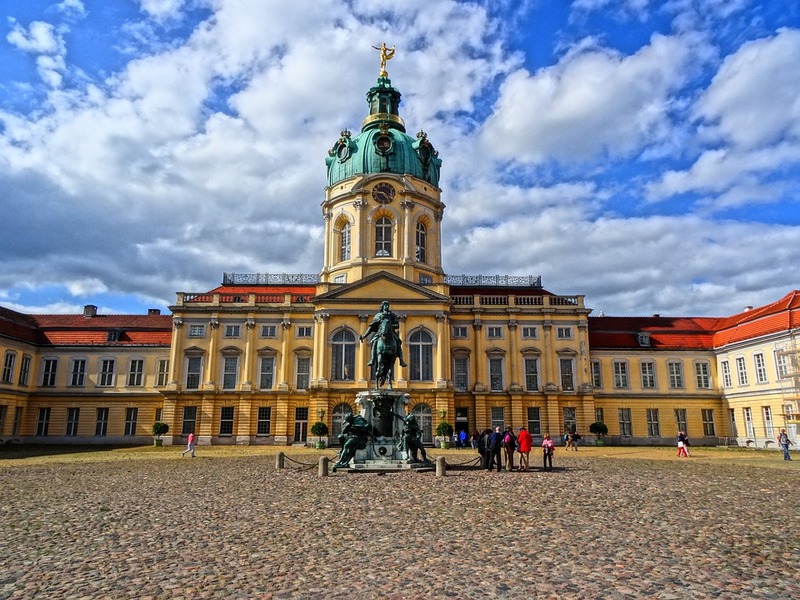 Riding the bus to Schloss Charlottenburg is a pleasure in itself as you exit the mayhem of Mitte and circle the Berlin Victory Column (Siegessäule) in Tiergarten. The Schloss stands proudly as the bus drives away and you see others, some such as yourself, slowing their walk as they step into the gardens. As you begin to stroll along the paths, the naked trees and lawns in their dull, winter splendor quietly ooze feelings of days gone by. Following the flow, your feet will lead you to the pond, and then a wash of relaxation floods you, as you gaze at ducks and swans. As you slowly glide around the pond, pause on the bridge and stare at the regally restored Schloss and take a deep breath. There is a small paradise here. 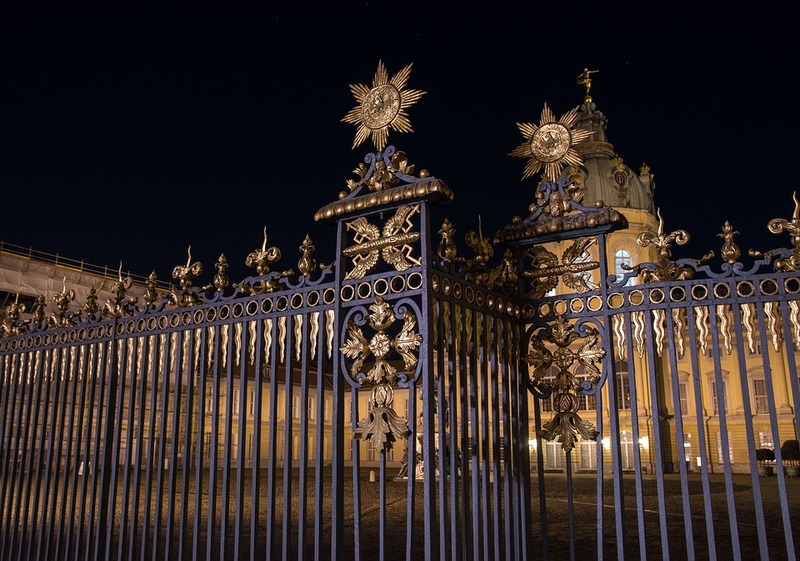 The gardens at Schloss Charlottenburg are free to enter and are accessible any day of the week. The paths of the garden are orderly, except when they aren’t. You can criss-cross the manicured green as Sophie-Charlotte must have done. You can wander through the woods and contemplate what in the world you will do in this city of lonely magnificence. You can gaze at the Spree as it curves along the boundary of the park. From above feel the Goddess Fortuna sprinkling onto your covered head (at least it should be covered, from the damp and cold from the Berlin February) from her perch atop the cupola. As you soak in the view, your eyes catch the tiny buds peeking out from the branches, and as surely as those buds will bloom, so too will your life in Berlin. Depending what day it is, and of course, the weather (Germans participate in a mass exodus from the indoors if the suns is out), you could be surrounded by others appreciating the gifts of the gardens. It doesn't matter because you are not here to exercise, or be alone. You are here to find yourself. Now you know, it is not too late, nor too soon, but it is just right. 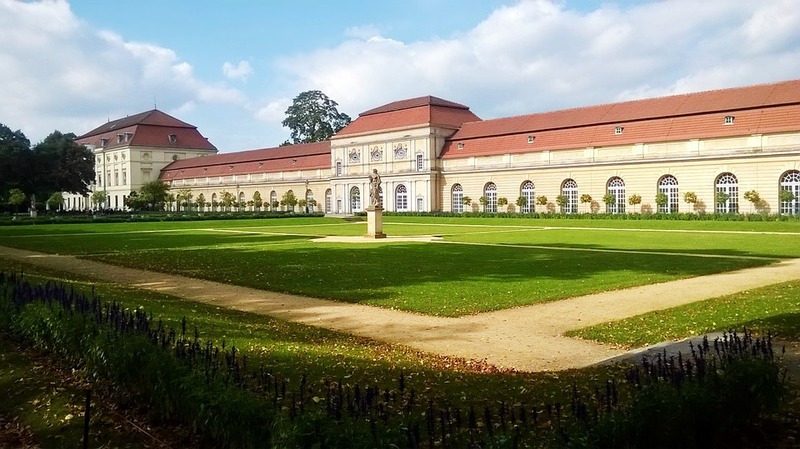 Any time you need it, escape to the gardens of Schloss Charlottenburg, and you too, will remember.